Through the My Brother’s Keeper Community Challenge, launched by President Obama in 2014, nearly 250 communities in all 50 states, Puerto Rico, and the District of Columbia answered the call to action to address persistent opportunity gaps facing boys and young men of color. The MBK Community Challenge called upon public and private sector leaders to convene a local action summit within 45 days of accepting the challenge, which would bring together a wide array of local stakeholders to assess the community’s needs, determine priorities, and decide how to make progress under the MBK milestones. Within six months of accepting the challenge, communities create and begin implementing a local action plan with concrete goals, data tracking, benchmarks for progress, and shared resources to support communities’ efforts. Learn more about the MBK Community Challenge. Since MBK launched nearly five years ago, we’ve had the opportunity to travel coast to coast and witness mayors, tribal leaders, county executives, business executives, nonprofit practitioners and everyday citizens stand together, forge unlikely alliances and create exciting new pathways for our boys and young men of color and other disadvantaged youth to realize their dreams. Our efforts are rooted in our MBK Communities. From Boston, Orlando, Chicago, Las Vegas, Memphis, Oakland and hundreds of municipalities in between, MBK Communities demonstrate what is possible when government, public and private sectors, and community leaders come together to ensure that our young people can go as far as their dreams and hard work will take them. The Obama Foundation hosted its first Summit in Chicago October 31 through November 1. We were proud to include many representatives from MBK Communities and partner organizations to inform and be enriched by the conversation. 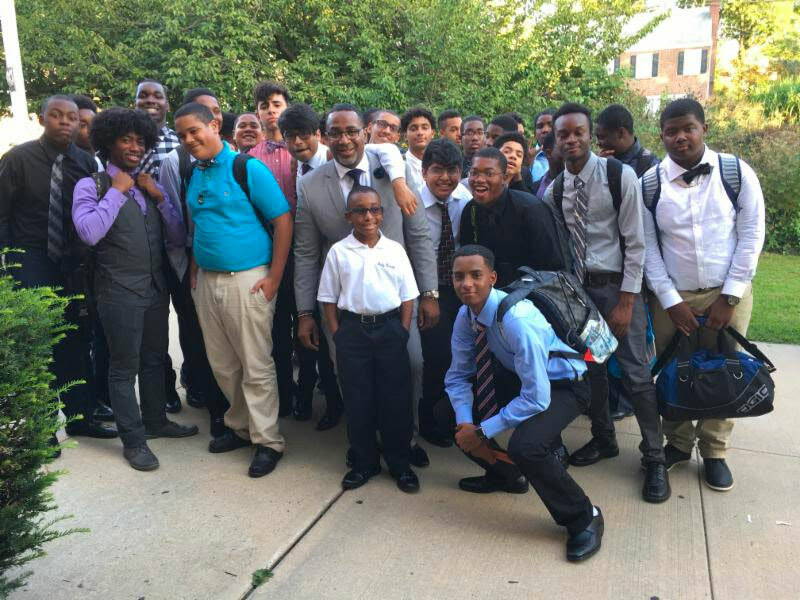 Prior to the Summit, MBK Alliance hosted a Pre-Conference at the renowned Urban Prep Charter Academy for Young Men. Joined by MBK youth and leadership from around the country, the Pre-Conference included a dialogue with youth from Chicago and across the country, a panel session focused on impactful interventions in Chicago and a conversation with former US Secretary of Education and MBK Alliance Board Member Arne Duncan. On November 8, 2017, in partnership with MBK ABQ, the City of Albuquerque and Albuquerque Community Foundation, MBK Alliance hosted Prospero!, a first-of-its-kind grant opportunity for nonprofit organizations working in the Greater Albuquerque area. 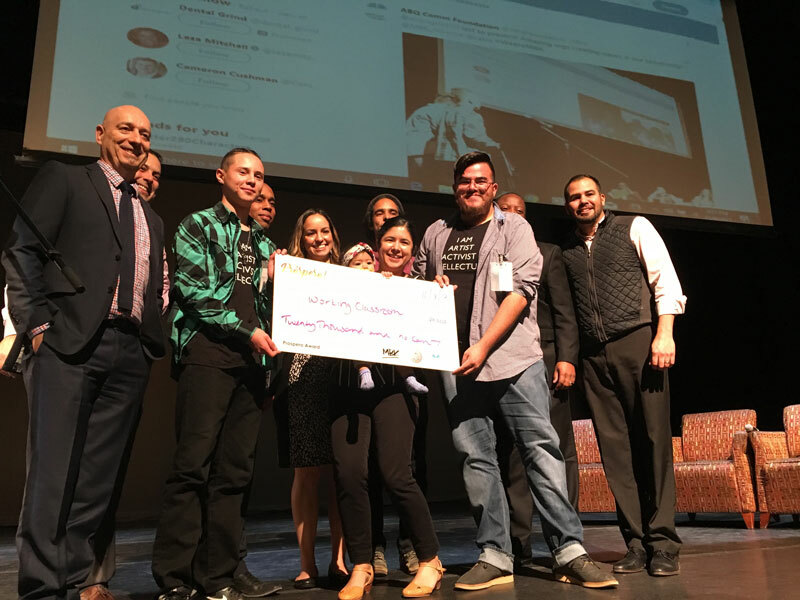 Five organizations providing educational support, job training, mentorship, job readiness and small business support for young men of color were awarded a total of $100,000 to accelerate their work. Meet the 2017 Prospero! Pitch Competition Recipients here. New York became the first state to accept President Obama’s MBK Community Challenge in 2016. Since launch, MBK NYS has been a catalyst for New York school districts, college and universities, and community groups to join forces in this critical mission. Recently, they hit a significant milestone by reaching more than 20 communities. From MBK Challenge Grants, to the innovative college preparation programs, to the investment in underrepresented individuals in teaching careers, to the family and community engagement programs, MBK NYS is having a profound impact on the lives of boys and young men of color Buffalo to Brooklyn.